Owned by the Royal Collection and published with the permission of the estate of Frank Beresford. Although this school had started in a small way in 1878, it was noted as School of Arts in the 1901 Census. Its aim was to train students who wished to attend the Royal Academy Schools, and it was very successful. 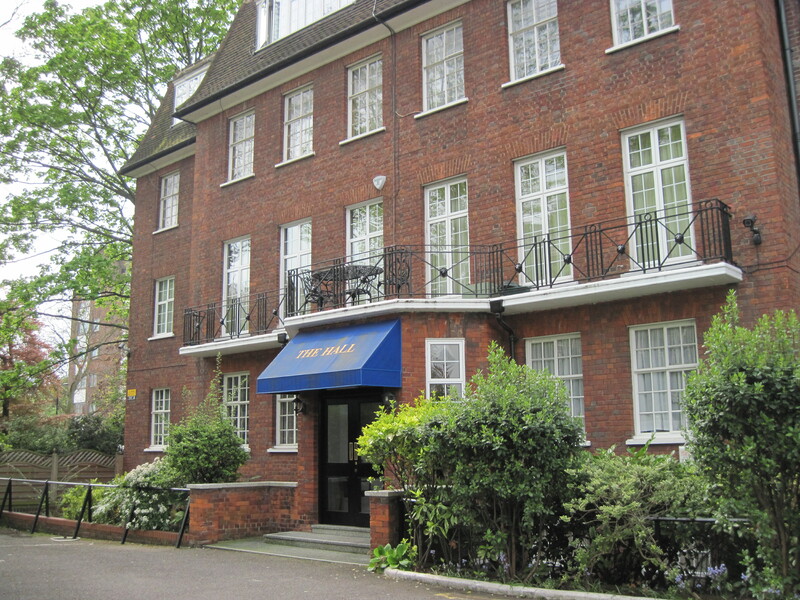 Between 1880 and 1890, 201 out of 304 students admitted to the Royal Academy had come from St John’s Wood, and they succeeded in winning many of the prizes. All classes were open to girls, or rather, to ‘Ladies’, who outnumbered the boys by about ten to one. The fees, which in Frank’s case were paid by his hard-working mother, were 18 guineas per annum, and at first he boarded in Ordnance Road for £1 a week, including meals. 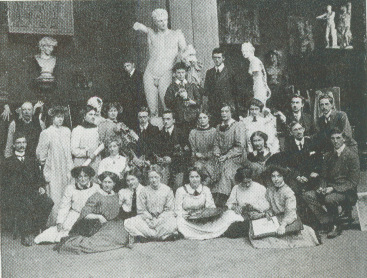 The students worked hard for five and a half days a week, from 10 am to 5 pm, drawing from the Antique to begin with; life models came later in the course. Established local artists like Alma-Tadema and Yeames were amongst the teachers. 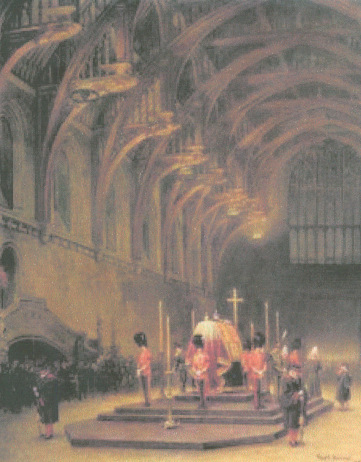 At all events, Beresford was successful in achieving entrance to the Royal Academy schools where he studied from 1901 – 1908. He was awarded a British Institution Scholarship which enabled him to go on an eighteen month world painting tour. He painted in St John’s Wood studios for six decades, apart from four years in the London Regiment in the First World War. He painted landscapes, animals, interiors and 3,000 commissioned portraits of royalty, aristocrats, politicians, and society figures. His most famous painting was The Vigil of the Princes, when the four sons of George V guarded their father’s coffin in Westminster Hall and which was bought by Queen Mary to give to her son, Edward VIII. 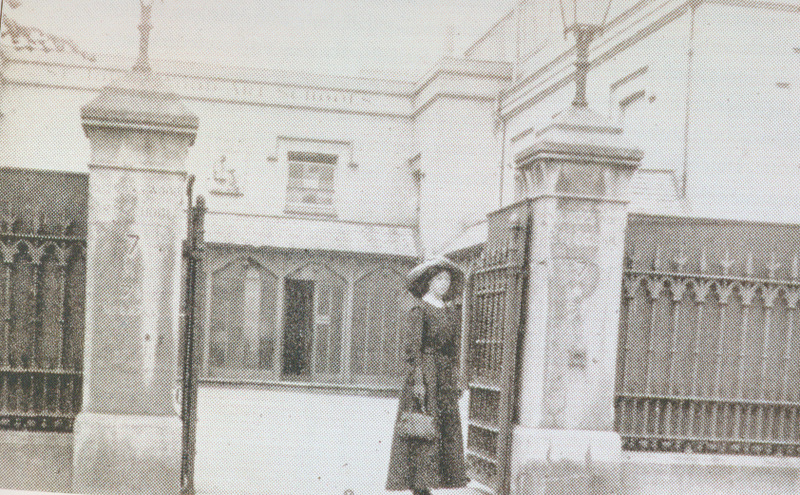 He married artist Daisy Radcliffe Clague, who had been a fellow student at the Royal Academy, on 9 June 1910 at Christ Church, Crouch End. 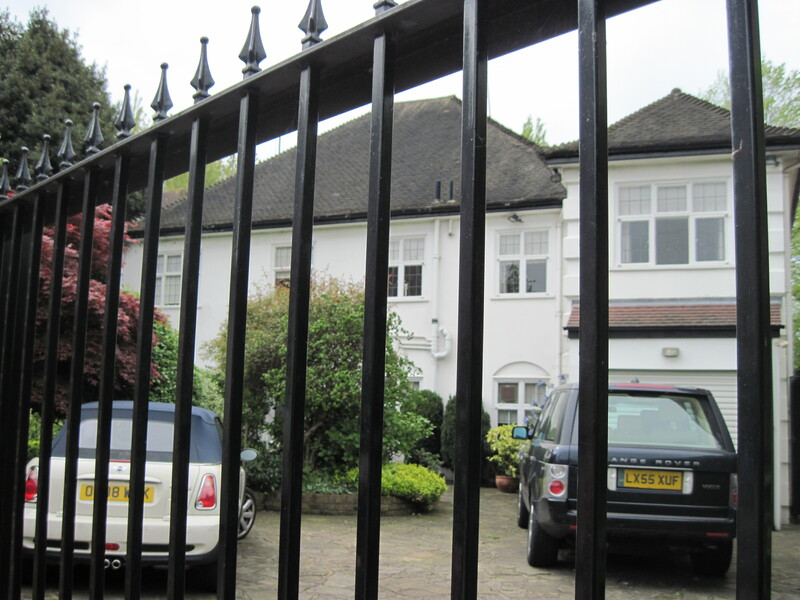 By 1913, according to the telephone directories, they were living at 1 Elm Tree Road and, by 1921, at 27 Grove End Road. Daisy died in 1939 but Frank was still there in 1959. As his daughter Averil said, her parents were “poor in money but rich in friends.”  He had a wide circle of friends and was generous with any money he had, though his financial affairs became complicated when he developed a block of flats in St John’s Wood next to his house, which was known as the Hall Studio. In the Second World War, as well as being an instructor in the Home Guard he was one of Kenneth Clark’s accredited War Artists, and painted at air stations across Britain. 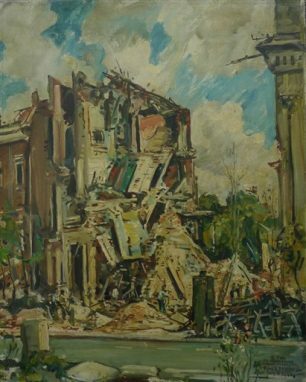 As Clark said in 1944, “An artist can see new combinations of shapes and colours which most of us take for granted but which will probably convey the feel of the war for posterity far more vividly than a photographic record can do”. 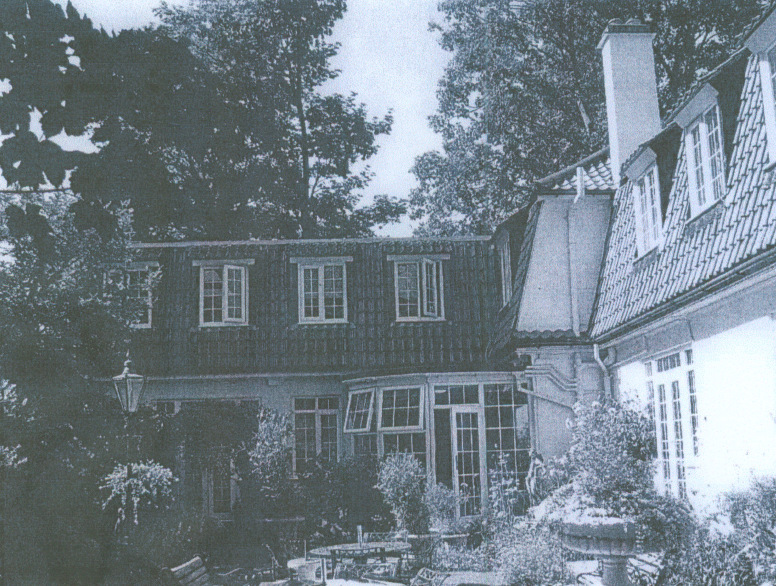 Beresford was also accredited to the US Army and Air force – only the second person to receive such an honour. 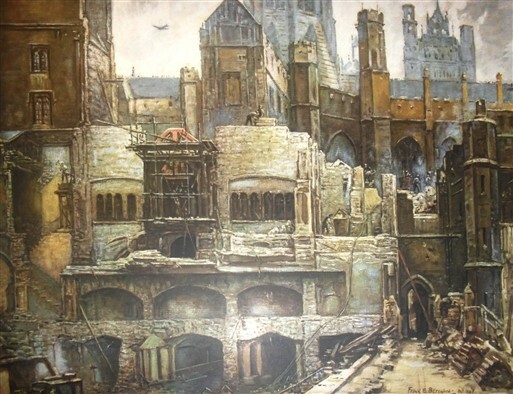 He was also official war artist of the Dutch Government and on 11 May 1942 painted a service at the Dutch church Austin Friars, which commemorated the invasion two years before of Holland by the Nazis. The church had been ruined in the Blitz and Beresford had to perch on the third floor of a house whose front had been destroyed by the bombing to capture the scene. In 1935, he had mourned the passing of the area he had known in his youth. 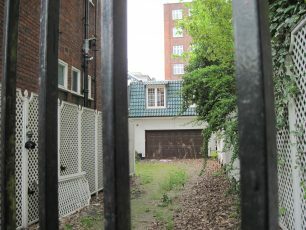 He said: “No suburb had so marked a personality as the old St John’s Wood – Art Quarter was written all over it, from the colour shops in the High Street and the group of students from the School of Art strolling about in their overalls and painting coats to the numerous studios – the distinctive character of the population has quite disappeared”  . He must have been even more distressed when the Second World War removed the landmarks he had loved. 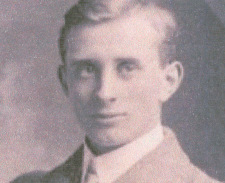 Quotation from the unpublished biography of Frank Beresford by his daughter Averil at http://www.beresford.net/ . This page was added on 23/04/2012.